Google My Business is an important free tool for any company looking to improve their online presence and local rankings. Creating a Google My Business listing enables your company information to appear in places like Google Maps, Google Search and Google+, as it uses company details to refine local searches and help customers find relevant, nearby businesses. It’s a good place to start for any new business seeking local exposure, and an important platform for established companies to check that they’re present on, with accurate and up-to-date information. There’s a good chance that if you own an established business that has been operating for a number of years, it may already have a Google My Business listing without your knowledge. To find out if this is the case, search for your business using its name and address here. If it shows as an existing listing, you can continue through to claim the business and add it to your Google account where you can then manage it from. If the process doesn’t work out so straight forward, and you’re notified that someone has already claimed your GMB listing, you can request ownership of it by following these instructions. Adding a new business listing is as simple as continuing through the process after searching your business name. Be sure to enter your correct business details and find the most relevant category to assign it to, in order to create the most accurate listing possible. Don’t forget to verify your business straight away (this can usually be done via phone, email or post), otherwise your listing and changes won’t appear on Google. Business Name – Keep this consistent with both your online and offline world, so customers can easily identify your business. Category – Try to find the category which matches your business the closest, in order to provide users with the most relevant search results, so they can find exactly what they’re searching for. Location – Your business will be visible to users searching nearby, so ensure that you have the location details correct. If you re-locate, be sure to update your address immediately (you will then need to verify this change). Opening Hours – Make your business listing as helpful as it can be to potential customers, and let them know exactly when they can visit or get in touch with you. Be sure to update these hours if you have any special times of operation during holidays etc, as you don’t want to leave potential customers disappointed. For frequently visited businesses i.e. supermarkets, restaurants and gyms etc, Google will also provide further helpful information such as the busiest times and how long people typically spend there. Phone Number – Let users contact you quickly by providing a phone number, which they can then call straight from your Google My Business listing if using a mobile device. Website – Chances are, most people searching for your business on Google will be wanting to find your website, so be sure to add your URL as it’s one of the first things they will see. Attributes – If you’ve got any particular features of your business that you want to shout about i.e. WiFi, gluten-free menu options or disabled access, you can promote these on your listing via the Attributes option. If you don’t fill out of all of the relevant details, there’s the risk that someone else might do. 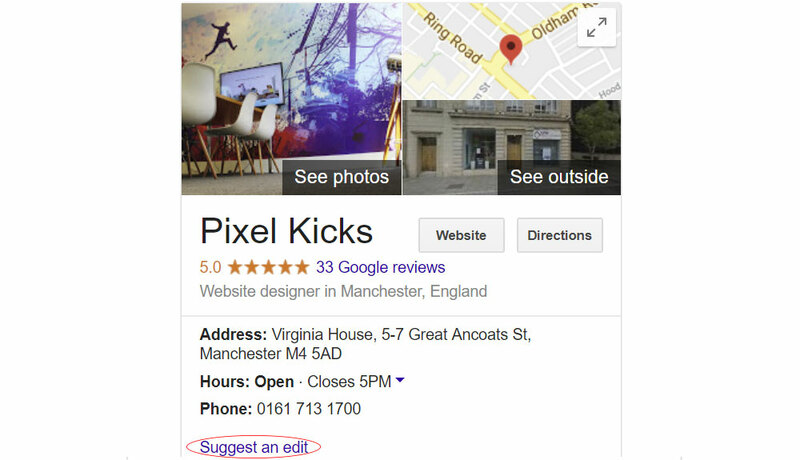 When you view your listing on Google you’ll see the “Suggest an edit” option – which is open to everyone on Google, even your competitors. With this option, any user can edit just about every detail of your listing if they choose to – which can definitely pose risks to businesses. In a similar way, Google gives users the option to answer questions about local businesses – once again risking sabotage from competitors. With this being said, it’s important to log in to your dashboard and check your business listing regularly, to ensure that there’s been no foul play. Keep your information consistent – Google’s algorithm takes into account the consistency of how business information is entered across different websites, in order to verify the legitimacy of the listings. If you’re submitting your company to many different relevant directories, ensure that your company name and address is written in a standard format, exactly the same across each website. Use a local phone number – Using a phone number with a local area code lets Google know that your business is definitely situated in the local area, and adds an extra legitimacy factor to your listing. Follow Google’s guidelines – Listings that don’t follow the guidelines for representing your business on Google are at risk of suspension. A few things to avoid include stuffing keywords into your business name field, URL’s that redirect to your website’s URL and using an address that isn’t your physical office space or storefront. You can read through the full list of guidelines here. It’s a well-known fact that people are generally more perceptive to images and videos than text, when browsing any kind of website or social media. Visual aids are great for grabbing the attention of a user, as long as they’re relevant and high quality. According to Google, GMB listings that have photos and a virtual tour generate twice as much interest as those that don’t, so it’s an easy win. Popular choices for photos uploaded to Google My Business listings include products, company logos, team shots and really just about anything that shows off your business in the best possible light. With this being said, it’s important to ensure that all images are of high quality and resolution, and where possible, the use of stock photos avoided. Generic photos that aren’t unique to your business won’t benefit your profile as much as shots taken by yourself or a professional, that showcase elements of your company. Once you have verified your listing, Google will automatically pull a street view capture from outside your location if possible, to give customers a better idea of the business location prior to visiting, and also just to really bring it to life and personalise the listing. However, there’s an even better way to enhance your listing – with a virtual tour. 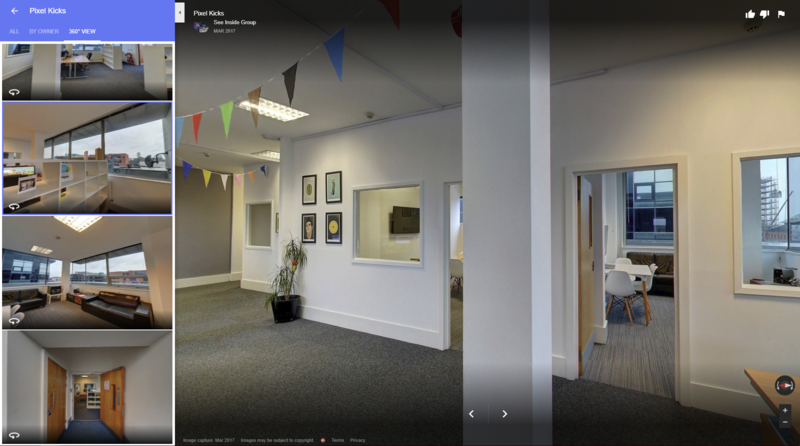 Google certified photographers are available to produce 360° virtual tours of your premises, as the perfect way to provide users a sneak peek into your business. Reviews are a great way to increase your online presence and provide a credible trust factor to potential customers. 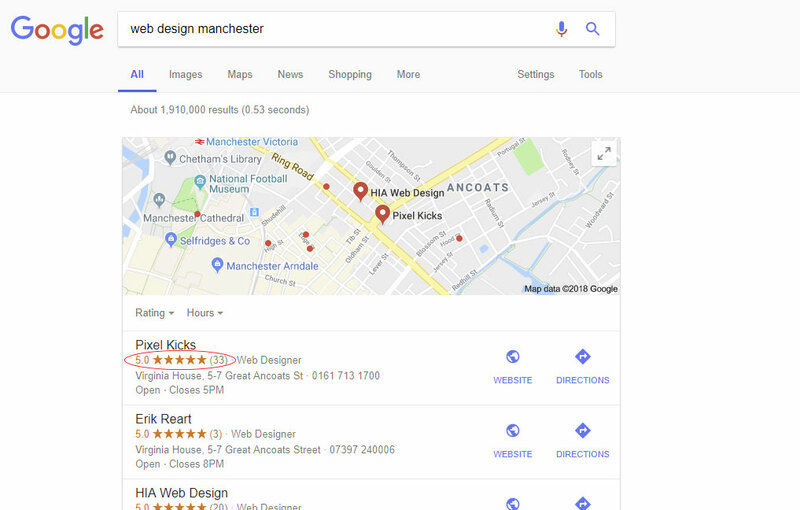 Not only do reviews increase the likelihood of conversions, but they’re also one of the biggest ranking factors involved in local search results. Google reviews are displayed under local listings in search results, and those with more highly-rated reviews naturally show higher. If you have 25 5* reviews, and your nearest competitor has either no reviews or poorly rated ones, this will be a huge influencing factor when it comes to potential customers approaching your business. According to a BrightLocal survey, 85% of consumers trust online reviews as much as personal recommendations, as it goes without saying that we base a lot of our purchasing decisions based on positive experiences that others have had. We would highly recommend working to try and generate as many Google reviews for your business as possible. 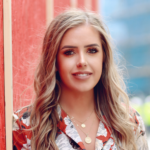 This can be as simple as sending a follow-up email to customers after they have received their purchase to politely ask them to rate your service/products, but it can make a huge difference to your business. As Google rolled out quite a few updates to their Local Search in 2017, they introduced Google Posts. Latest company updates can now be displayed under your listing, and provides the perfect opportunity to promote your services, products or share any news and events with a wider audience. 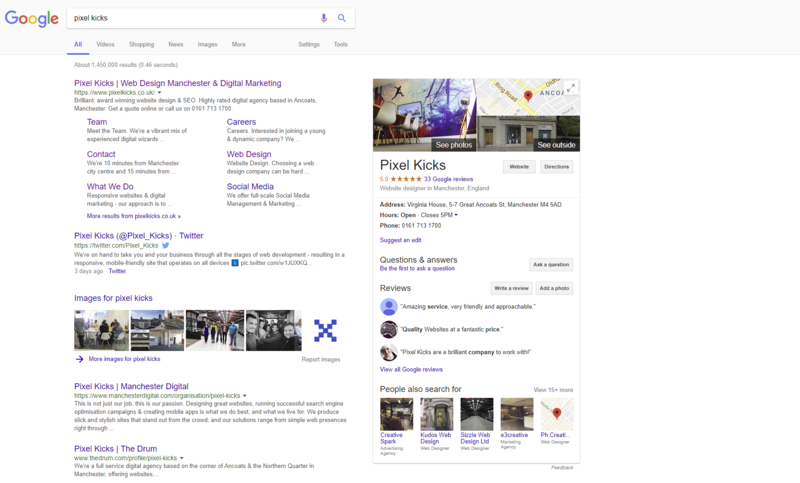 Google posts don’t currently have any influence on rankings, but are a great way to give your listing more prominence and visibility, and encourage users to click through. The optimal image size to be used for posts is 750 x 750, anything less than 250px will be rejected. Don’t stuff keywords into your posts – it won’t do you any favours. Focus on the first 100 characters of the post, as this is what will be shown in the Knowledge Panel. Use carefully thought out sentences which don’t get cut off at the end, and entice users to want to read more. The newest post is always displayed first, and the rest are shown in a carousel format. Posts are only live for seven days, so keep posting frequently to keep this section ticking over before all of the posts expire. Ensuring that your website and content is fully optimised for search, is just as important as optimising your Google My Business Listing. Google takes note of the strength of your websites’ SEO, and a website that is optimised for both customers and search engines is more likely to make it into the top three of the local Google search listings. Optimise existing pages on your website to identify with your local demographic. Add local contact details, include your town or city in page titles and descriptions, and add a map to your website, which you can easily embed from Google Maps. Spend some time looking for local linking opportunities. Check out this list of local link building tactics that may work for you. It will take a while to build up your local SEO, and improvements don’t happen overnight. Be patient, and it will prove to have a big payoff for your company. If you want some help in this field, get in touch with us to find out more about what our SEO experts can do to improve your local rankings and visibility. Want to get more of our brilliant blog posts by email?